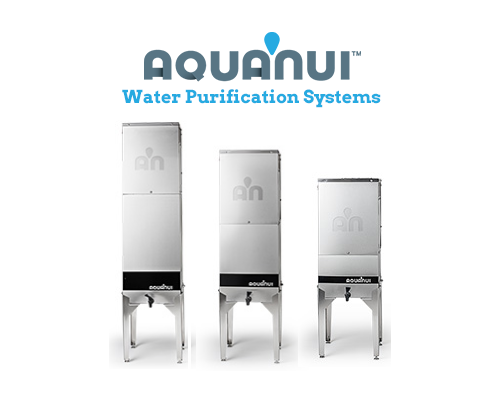 AquaNui 10G Automatic Water Distiller produces 10 gallons of high-purity distilled water every day and can store up to 10-gallons in its high-quality storage tank. 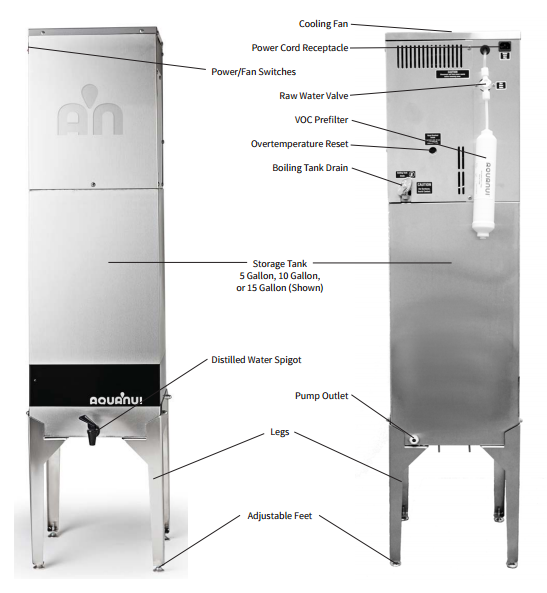 The storage tank includes a spigot, a stand with adjustable leveling feet, and a unique steam sterilization feature. 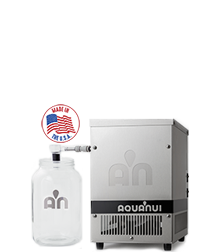 For easy installation, all AquaNui premium water distillers include a saddle tapping valve, compression nuts, and 15 feet of food-grade tubing, and a VOC pre-filter. Several extended-reach faucet upgrades are available. 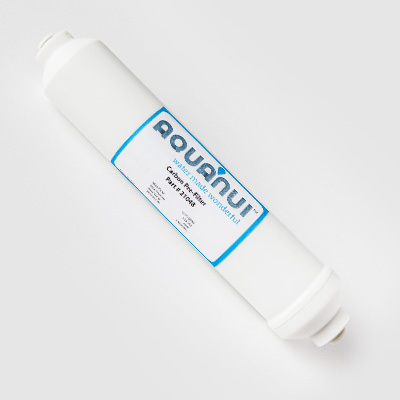 Other storage tank sizes available. Call for details. 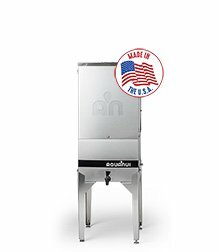 AquaNui is made in the USA by a family-owned company and comes with a 15-year limited warranty— including a 2-year full warranty on electrical parts. Patented design. 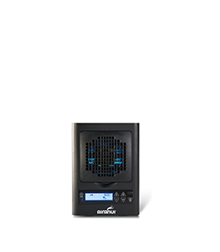 1200 Watt Heating Element ….. approximately 10 gallons per day. Disconnect the fi lter from the tubing. 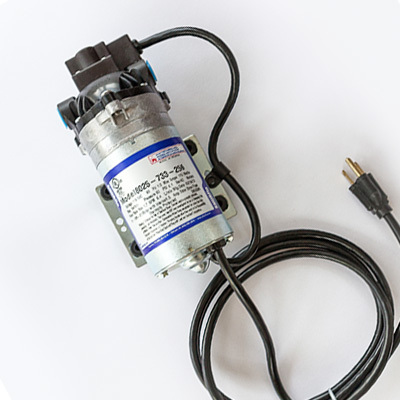 Hold fi lter over a bucket or drain. Connect outlet of fi lter to tubing. 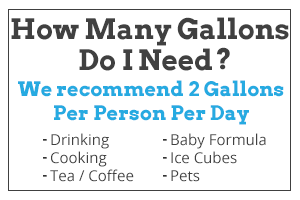 Manually fi ll the boiling tank until the scale is covered by water. 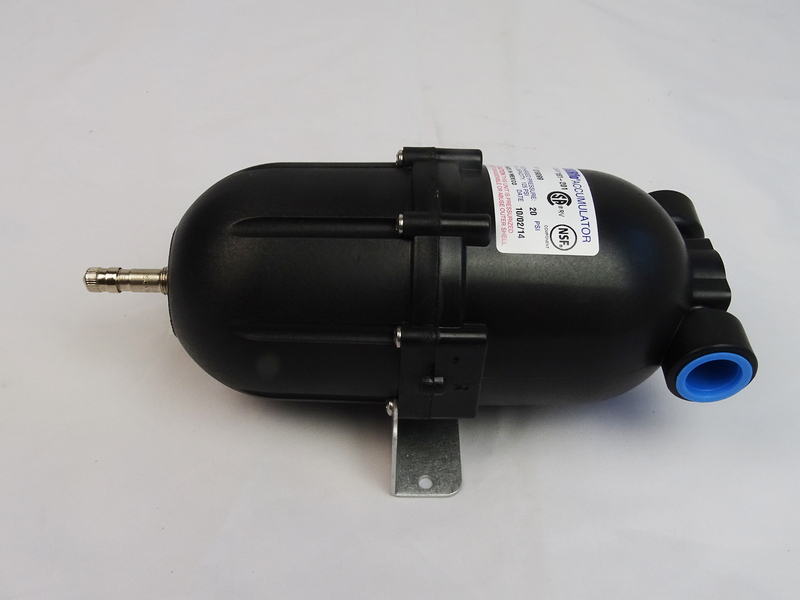 Allow the unit to fill the storage tank and shut off .